Baby Player is rather entertaining mod with which you can change the size of your character. At any moment you can become a little kid. In this case all your characteristics will remain the same. This mod has one big advantage - the ability to use any skin for Minecraft PE. So you can download the baby skin and change its size. Baby Player mod is great for recording videos as well as for a family. With it, you'll be in the role of a child or of the Ant Man. For this, download Pocket Heroes mod, with it you will get not only the skin but also special armor. Look at the screenshots below. All versions are below, we advise you to download the latest version. 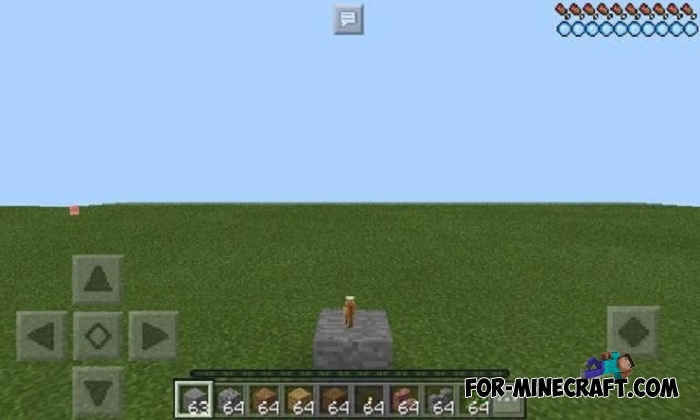 Support for Minecraft PE 1.2. Be sure to use the latest version of BlockLauncher otherwise the mod will not be installed. The size of the player was updated. Now you are 12 times smaller than before. Update fully supported MCPE 0.16. How to install the Baby Player mod? Download the mod and run BlockLauncher (BL). Click on the wrench and activate the mod (.modpkg).